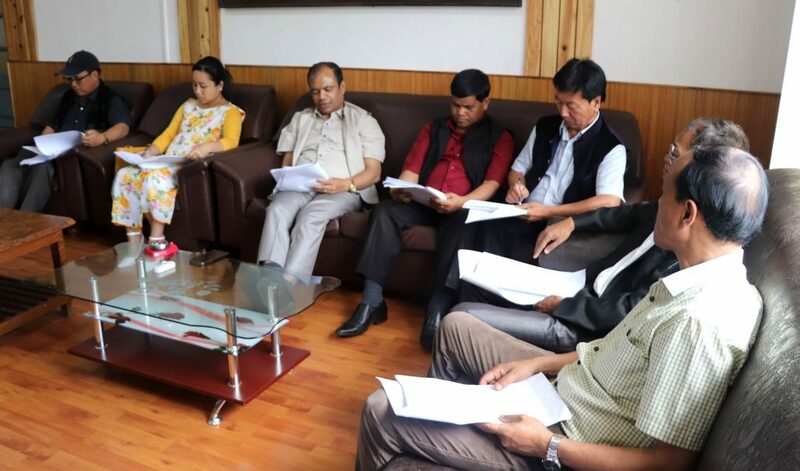 The model code of conduct will come into force from Saturday in view of the elections to the two autonomous district councils (ADCs) – Khasi Hills Autonomous District Council (KHADC) and Jaiñtia Hills Autonomous District Council (JHADC)—which will be held on February 27. The model code of conduct is in place once the notification for the polls is issued by the Meghalaya government through the District Councils Affairs department on Saturday, the day when filing of nominations will also begin. The last date for filing of nominations is February 7, and scrutiny of nomination papers is February 8. The last date for withdrawal of nominations is February 9. Counting of votes will take place on March 2. Rs 10.78 crore has been estimated for conducting the polls and the amount will be adjusted from royalty shares that the two district councils received from the state government. On security measures to ensure free and fair conduct of polls, a review meeting to discuss issues related to preparedness will be chaired by chief secretary Y Tsering on February 11. The meeting will be attended by the director general of police (DGP) R Chandranathan and other officials. Commissioner and secretary in-charge district council affairs, Tining Dkhar said that amendments have been also brought in connection with the ceiling for election expenditure to be incurred by the candidates which got the approval of the governor. The security deposit has been raised from Rs 2,500 to Rs 5,000 and the expenditure for each candidate has been increased from Rs 2.5 lakh to Rs 5 lakh. The respective deputy commissioners who also are the returning officers have been asked to strictly enforce the model code of conduct and take measures to curb the use of money power to woo voters and take immediate action based on reliable information if the code of conduct is violated. Carrying of cash above Rs 50,000 by contesting candidates or their supporters has also been prohibited. Under the model code of conduct, fresh release of funds under MLA or MP schemes, issue of work order by the ADCs, inauguration, laying of foundation, announcement of new schemes have been kept on hold till the elections are over. But issuing of tender for works and constructions under Central or state sponsored programmes has been exempted.